General Power of Attorney. 100% Money Back Guarantee. 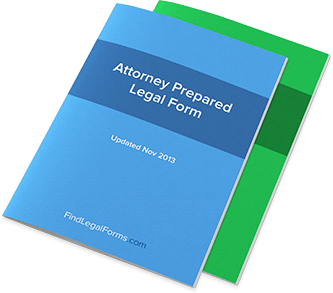 These Power of Attorney Forms can be used by a Grantor to bestow broad powers to an Agent to act on their behalf in most legal or business dealings. General Powers of Attorney can either remain broad or be limited to specific situations. Whenever you hear people talking about power of attorney, they’re often talking about different types: General Power of Attorney is one of the most common types. Other types of power of attorney, such as durable power of attorney, health care power of attorney, and springing power of attorney, can sometimes be enforced under the “general” power of attorney umbrella. It all depends on what a court is willing to enforce as valid. But before you know what the courts will decide, you’ll need to know exactly what general power of attorney even is. So here’s a quick guide that should bring you up to speed in a hurry. First, it’s important to remember that general power of attorney can often be the most powerful type of power of attorney simply because it contains so many different types of powers and privileges. Health care power of attorney is certainly powerful, but since its scope is sometimes limited in comparison with general power of attorney, it could be said to fall under an umbrella. Note that it’s important to take all types of powers of attorney seriously. The general power of attorney will often include powers such as signing checks, paying off bills, making real estate purchases in someone’s name, and signing other legal documents that have a wide range of effects on that person’s life. Think about it this way: whenever you sign something, you’re exercising your own personal power of attorney. That’s how powerful this privilege is, and when you sign it over to someone else, that’s essentially what you’re signing over. Building on this understanding, it’s not hard to see why handing over your power of attorney can have such long-ranging effects. Everything from your personal care to the most intimate personal and financial decisions can be changed as a result of the power of attorney you’ve signed over to someone else. There are indeed other types of power of attorney, which could be known as more specific types of power of attorney. We touched on a few of them, including durable power of attorney, in which your power of attorney can be used by someone else in the event you are incapacitated such as by disease or car accident. In other cases of power of attorney, your incapacitation might cancel the power-of-attorney you’ve set up for someone else. That’s why this type of power of attorney is called “durable” – it lasts even through your incapacitation. As you learn more about power of attorney and the legal forms that provide for its structure, you’ll start to see how many rights you do indeed have to give away. These legal rights are to be taken seriously at all stages of life, and you should only sign over power of attorney to someone you trust implicitly. It might be a difficult decision, but if you make it for the right reasons, it might end up being one of the best, most impactful decisions you ever make.